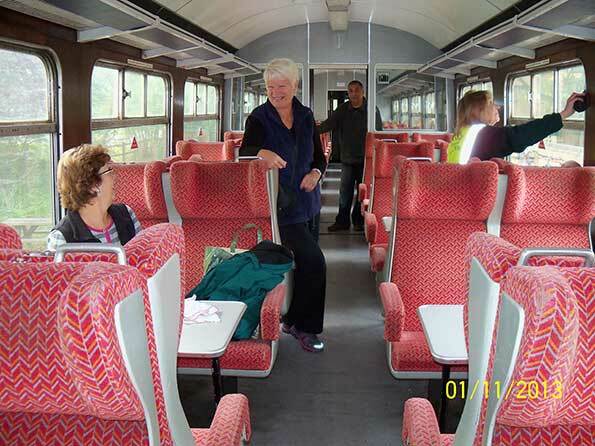 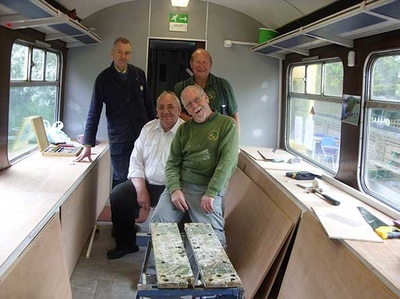 ​This is our story about how the Friends brought a railway carriage back to Rayne. 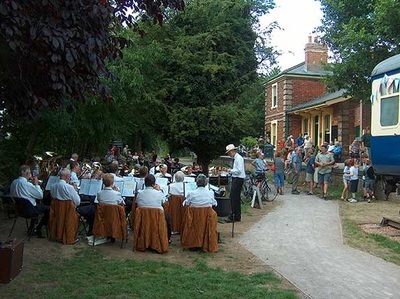 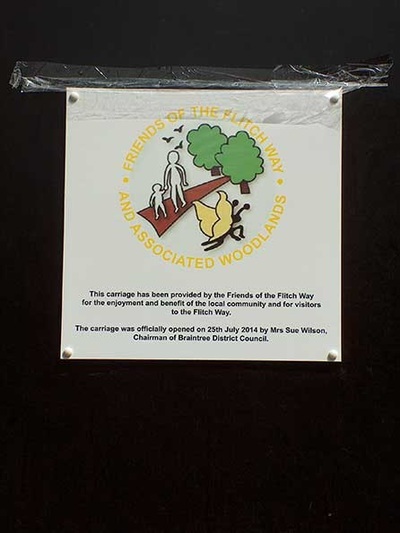 ​It was to become the museum and information centre for the Flitch Way and the old railway line that used to run between Braintree and Bishops Stortford. The driving force behind the idea to bring back some of the railway history of the Flitch Way was Jim Cloke, one of the founding members of the Friends. 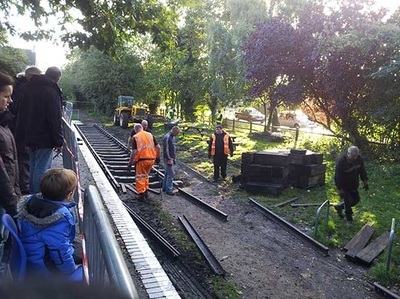 2011 had seen the start of the project with the rebuilding of the Halts at Stane Street and Bannister Green, both of which were deemed a success by people who remembered using the original request stops when the line was operating for passengers. 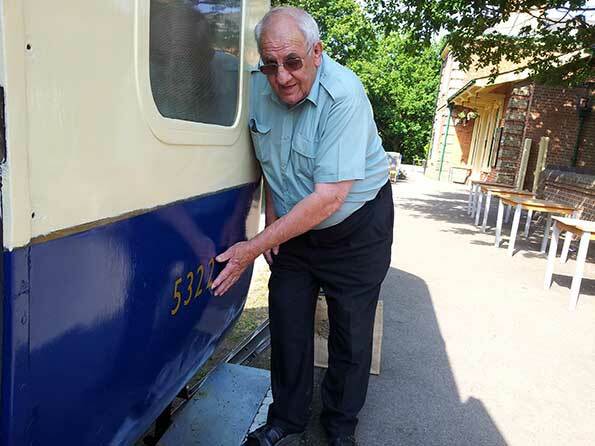 The challenge to find a suitable carriage to be sited at Rayne Station was then taken up by Jim and our first thoughts were to get a carriage of a vintage that would have operated on the branch line prior to passenger services ceasing in 1952. 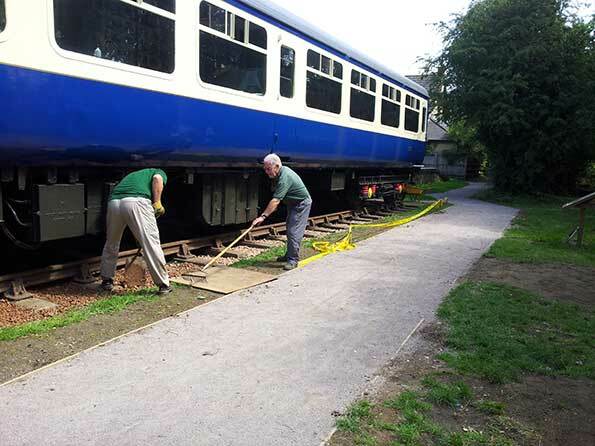 That proved an impossible task although we did try. 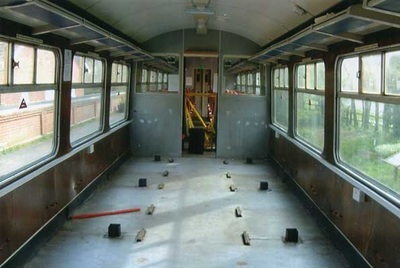 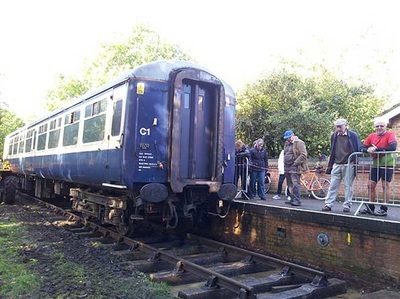 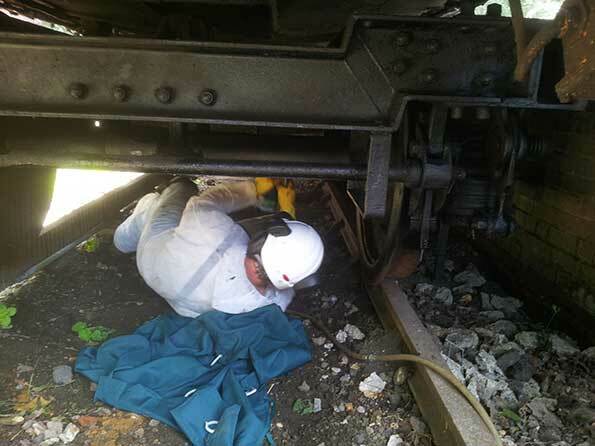 A potential carriage surplus to requirements at Epping & Ongar Railway was examined on site early in 2012. 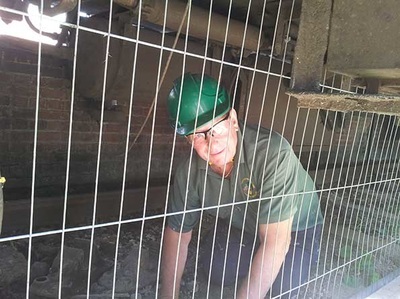 In one of its previous lives, it had been used as an ice cream and refreshment stall at a seaside town and bore all the evidence of a long and well used life, requiring major restoration. With hindsight, it was fortunate that we were unable to raise the funds to buy it. 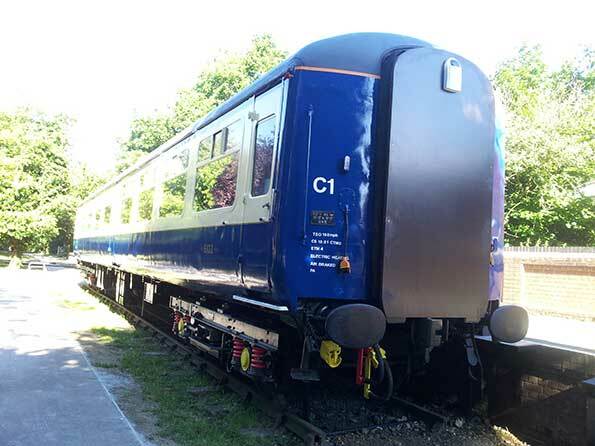 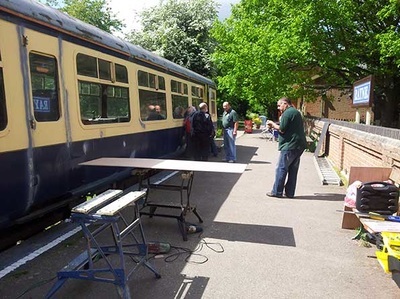 Another potential carriage was discovered at East Anglian Railway at Castle Hedingham in August 2012, which was being sold by a model railway club who were using it for their model displays. 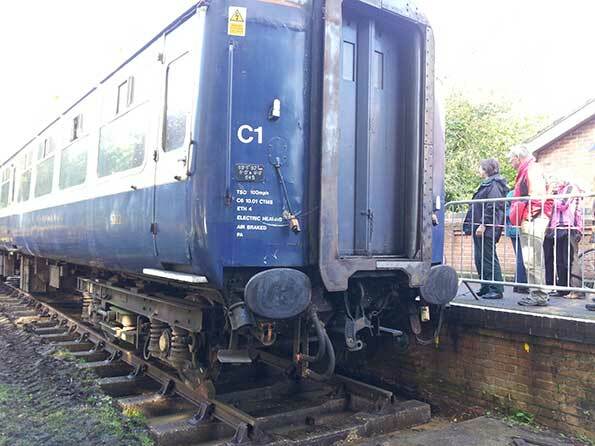 Unfortunately we were unable to get inside the carriage at that time but it looked okay externally. Closer subsequent inspection of the entire carriage showed it to be in an extremely poor condition and the decision not to make an offer was an easy one to make. Further enquiries convinced us that a vintage carriage in good condition would be both difficult to find and beyond our financial means. 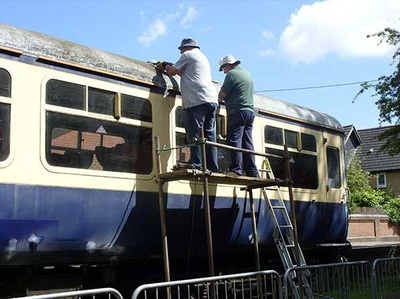 Similarly, one in poor condition would have cost a fortune to restore and be beyond our expertise to bring to an acceptable condition. 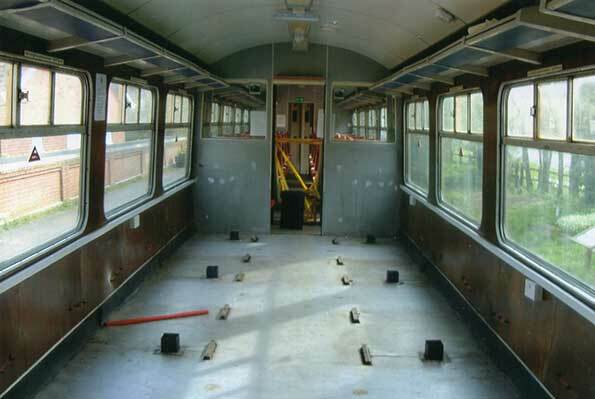 Both carriages we had seen were of similar dimensions and, on the basis that we would be getting a carriage anyway, we had already applied to Braintree District Council for planning permission which was granted. 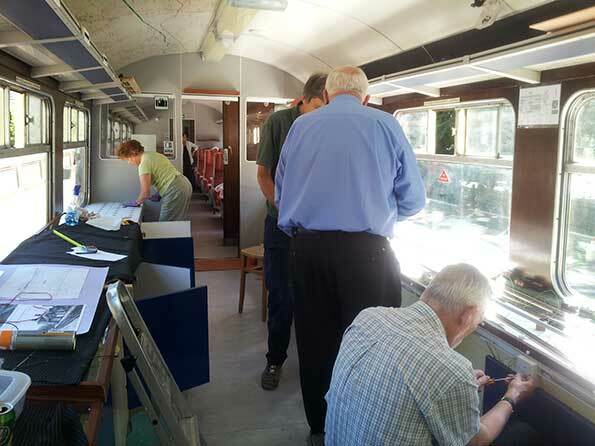 Applications for funding were also prepared and submitted to several prospective funders. ​After a lot of research, Jim identified some Mark 2A carriages, built in 1968 and being sold by Riviera Railways, part of the Riviera Travel group. 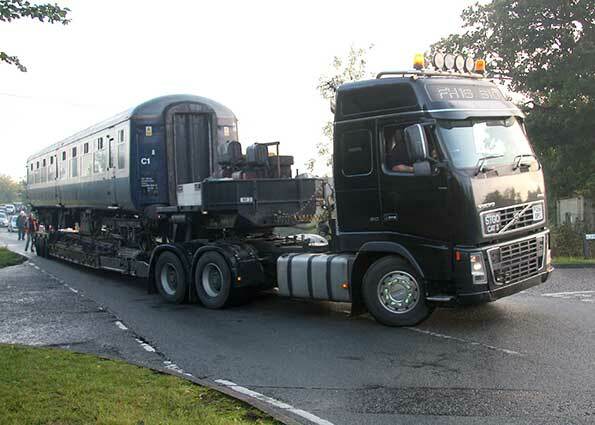 They own a lot of rolling stock which they lease out to the main line rail companies as required. 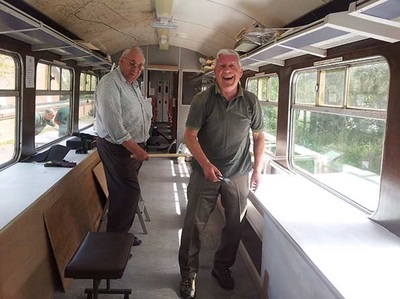 An expedition consisting of Jim, Stan Davies, Pete Lane and John Moss set off early in 2013 to Eastleigh in Hampshire to examine the carriages stored there and which we learned had been in use on the network within the preceding 6 months. 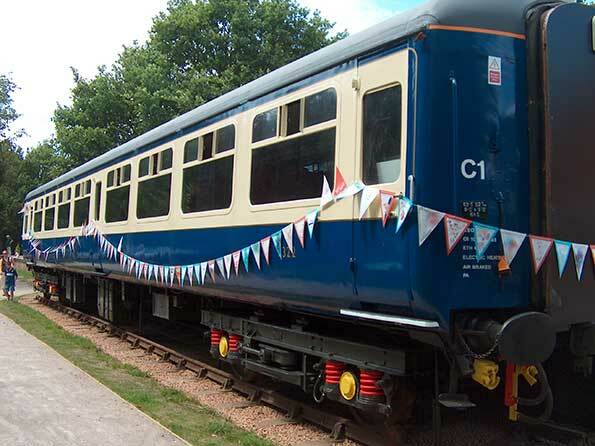 We identified the carriage we wanted and put in a bid. 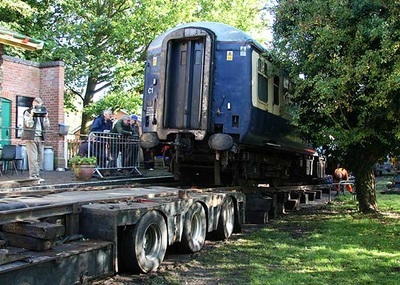 Further new funding applications had to be submitted and we were disappointed to find that a fresh planning application also needed to be submitted to Braintree District Council as the dimensions of the new carriage were slightly different to those contained in the permission previously given. In due course our offer on the carriage was accepted and the agent for the sellers agreed to wait pending our getting sufficient funds to complete the purchase. Fortunately we were successful in getting funding of £26,500 from the Big Society fund, Stansted Airport Community and Greenfields, fresh planning permission was obtained and delivery took place in November of 2013. It was a rather wet day Wednesday morning but that did not deter the throng of visitors who turned up at Rayne Station to await the arrival of the railway carriage. 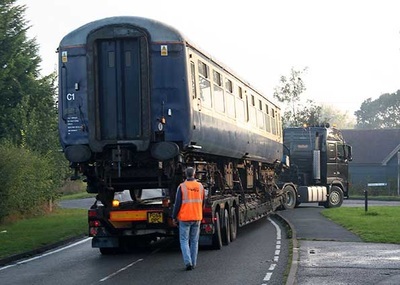 The atmosphere was charged with expectation and the wait was a long one as there had been mixed messages from the haulage company about the timing of the actual arrival. Some volunteers helped Tom Hamilton our Essex Country Park Ranger erect barriers around the site ensuring the safety of everyone who had come to see the event take place and a gazebo was erected on the platform to create a dry area for spectators to watch the proceedings. 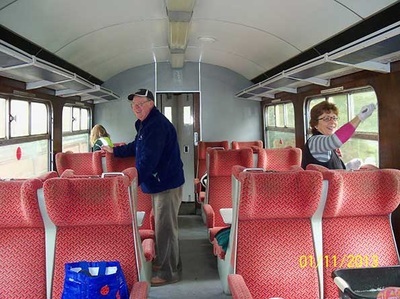 Josh and Grace Meehan were kept busy in the Booking Hall Café supplying endless cups of tea and coffee to all concerned while visitors and volunteers socialised on the platform and in the station. At 1 pm the first crew arrived on site to put vital finishing touches to the rail track that had been laid on Monday and lay the plates to take the weight of the low loader. 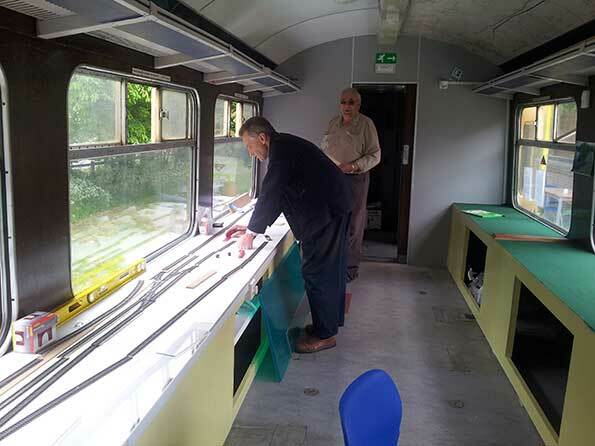 Throughout the afternoon the weather started to improve and at times the sun peeped through the clouds to cheer everyone up. 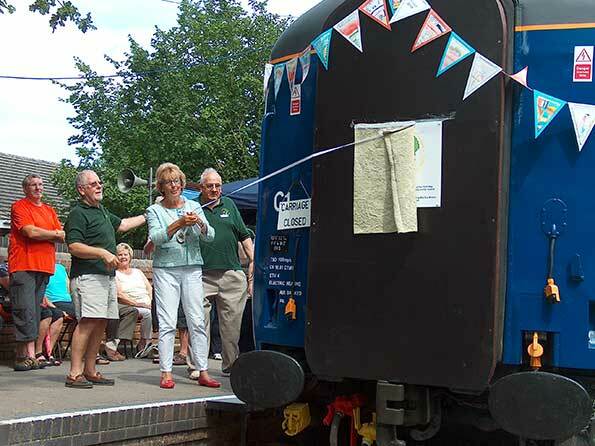 After a long wait at 5 pm the cheer went up that the carriage had been sited coming over the A120 Bridge and down School Road towards the station. 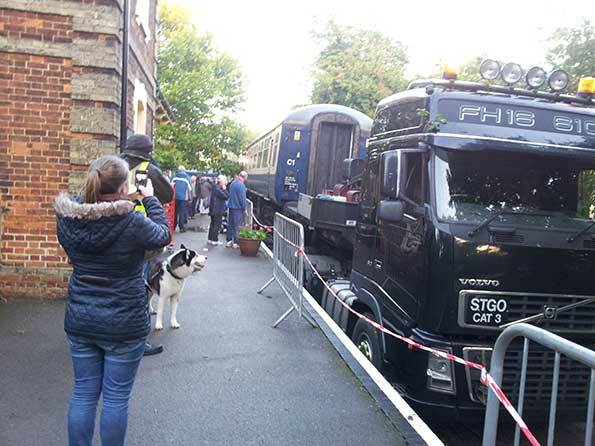 Cameras clicked away recording its arrival and a gentleman from the Braintree & Witham Times was on site taking pictures for the local paper. 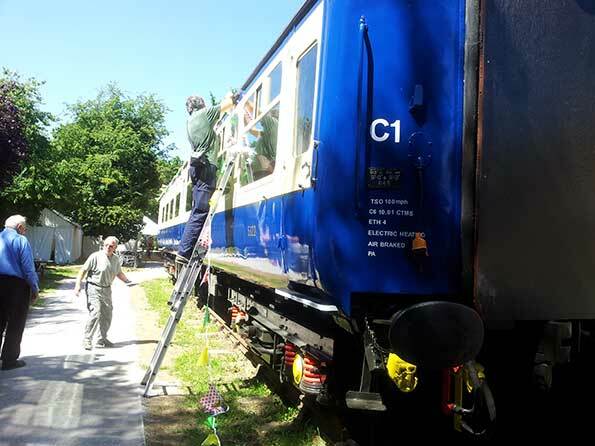 We were all amazed at the skill with which the driver manoeuvred the vehicle to line up the carriage next to the platform. 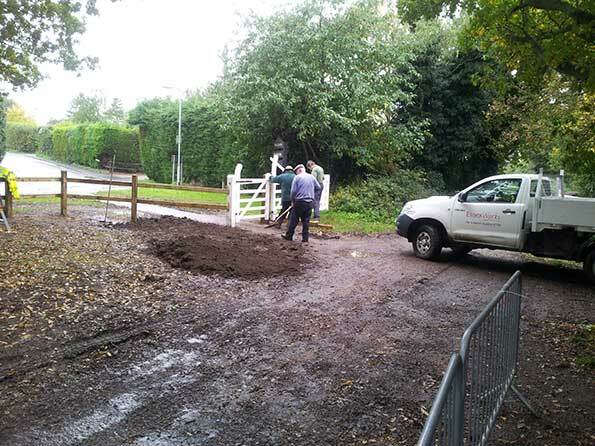 It was 6 pm by this time and sadly too late in the day for the last part of the delivery to take place. 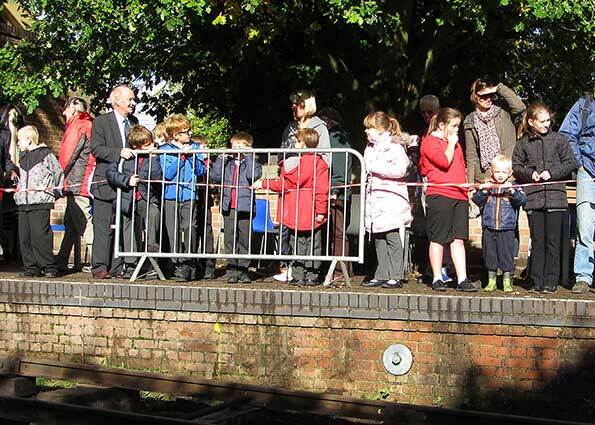 Slowly but surely the carriage moved down the ramp to the amazement of all concerned. 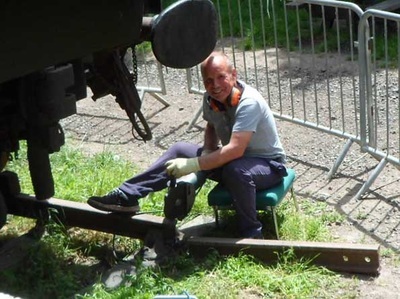 Finally it came to a stop and the chucks were put in place. PHEW!! 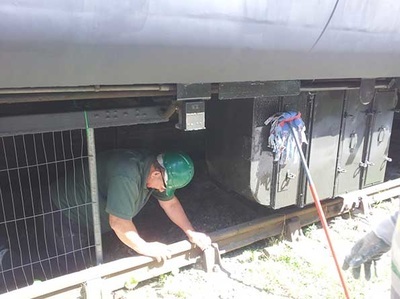 These will be welded in place to ensure it is secure. 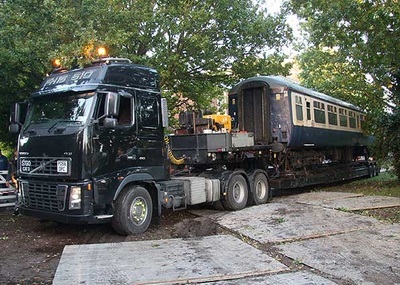 ​What a brilliant job with many thanks to the team of men from Moveright. 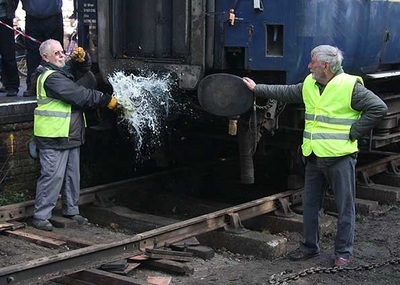 Stan and Jim celebrate the end of this part of the project by breaking a bottle of bubbly over the carriage. 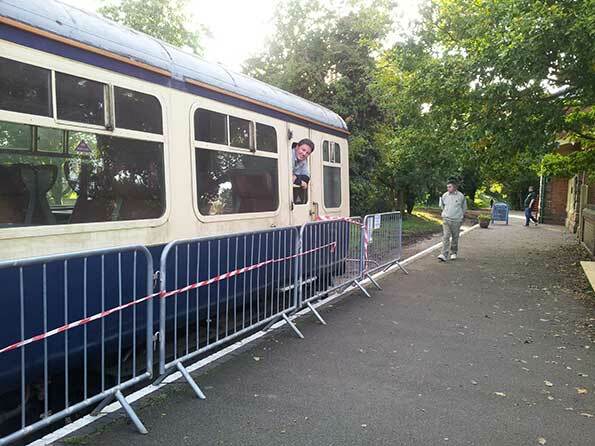 At the end of the day when things had quietened down a group of volunteers stayed to erect fencing around the carriage for public safety and Tom finally got the opportunity to look around the inside as he had not had a chance before. 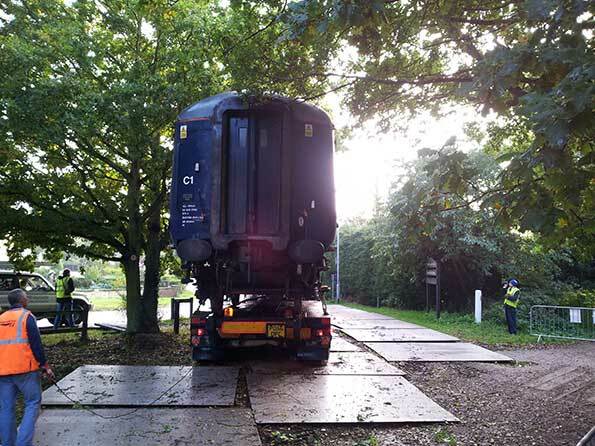 Certainly this has been a real red letter day for Rayne and the beginning of a new and exciting adventure for those who are willing to take ownership of this very exciting village project. 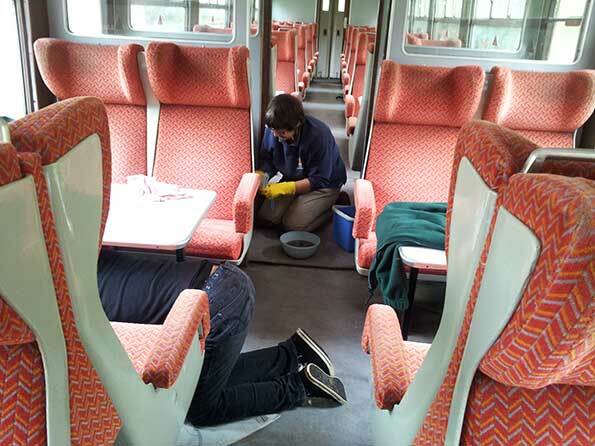 What a brilliant job!! 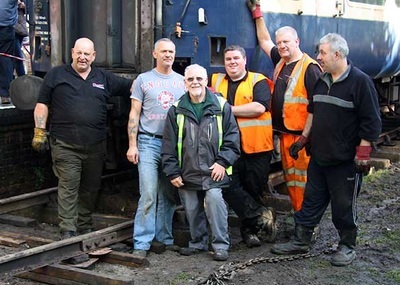 Thanks to the team of men from Moveright. On Saturday 2nd November a team of local volunteers joined forces with some of the Friends of the Flitch way to give the newly arrived carriage a bit of a clean up. 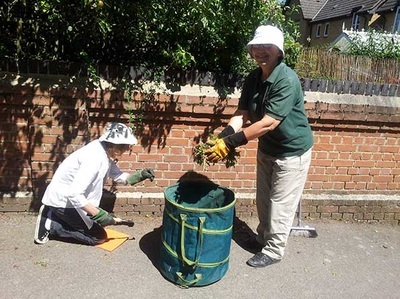 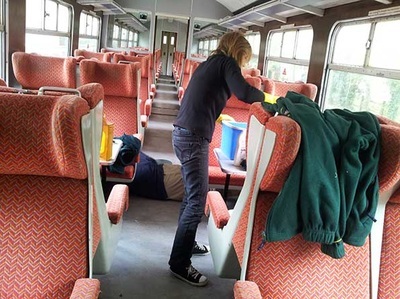 Pam Maskill sent out a request asking for help and along they came armed with cloths, sponges buckets and yes, toothbrushes, to get into the grubby corners. It was a good opportunity for new volunteers to get to know one another and at the same time make a contribution to the carriage project. 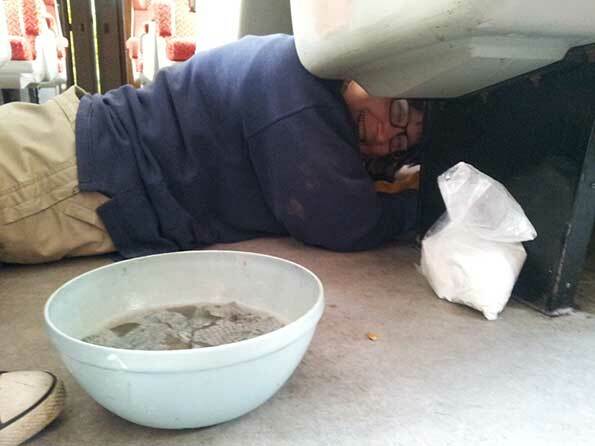 ​Everyone soon got stuck in tackling the most grubby areas cleaning every nook and cranny. 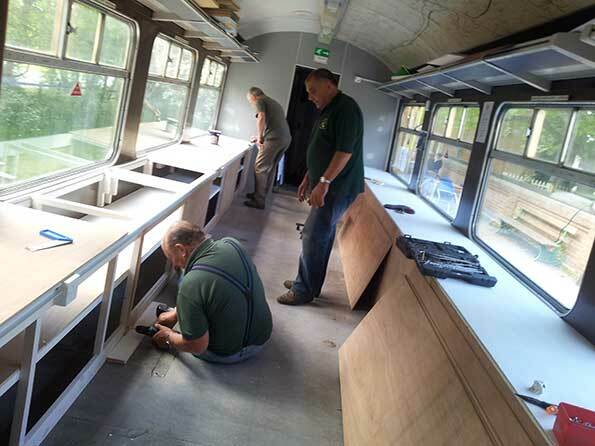 After a well earned cuppa and some lunch the team set to again and made quite an improvement to the overall look of the carriage. 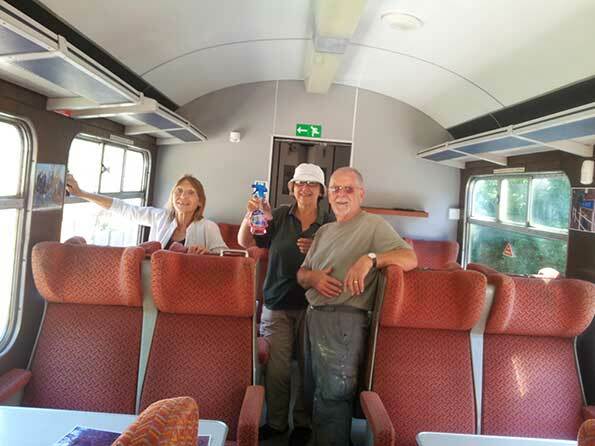 Thanks go to Pauline, Gloria, Carole, Wendy T, Malcolm, Chris Y., Jim, Brian, Chris R and John for their hard work and especially Pam who was responsible for organising the day. 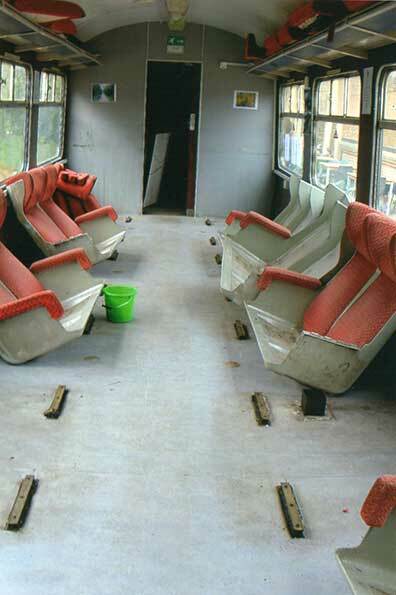 The team have been working hard since the beginning of the year tackling the job of refurbishing the railway carriage. 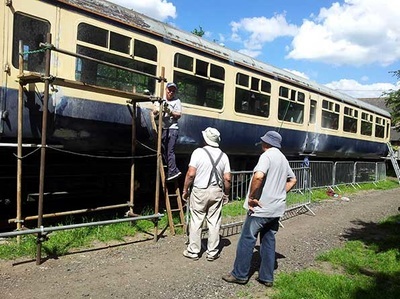 Some of the seats have been removed from one end and work is well underway building the museum stands. 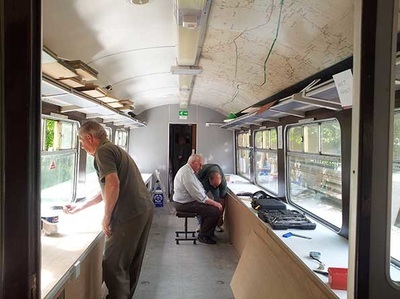 ​The map that was once displayed in the Booking Hall Cafe is now on the ceiling. They created cupboards for storage underneath the display units whilst Stan was kept busy painting the entrance ways and walls. Brian took on the task of helping Gordon with the model railway layout and Wendy attached a baize surface for the display units. We were lucky to find Andy Horder who has experience in body work repairs and he began the task of filling and repairing the outside of the carriage. 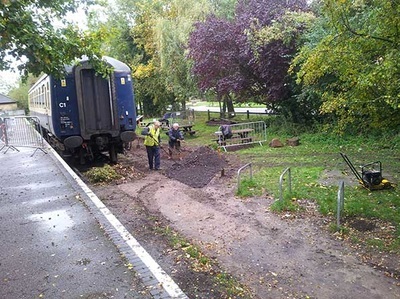 They have also started to improve the grassy area in front of the station by reseeding the areas that were damaged when the carriage was delivered. The map that was once displayed in the Booking Hall Cafe is now on the ceiling. 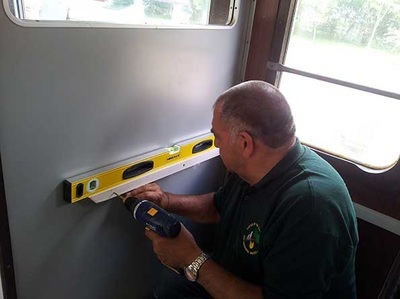 Creating cupboards for storage underneath the display units. Andy filling and repairing the outside of the carriage. 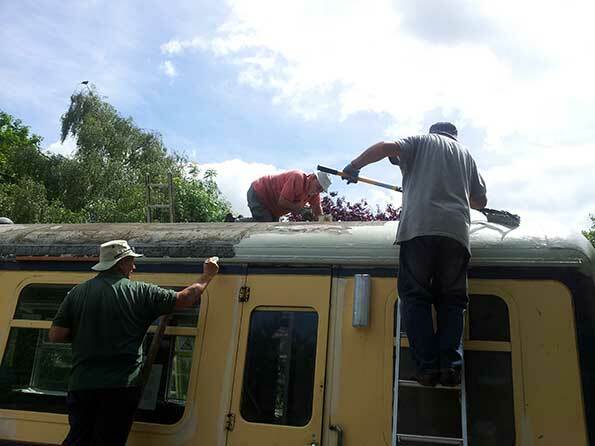 The weather has been very good so the team decided to start work on preparing the roof of the carriage for painting. 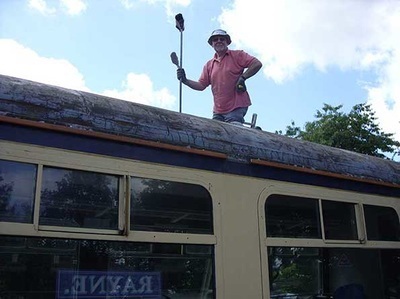 John started work on sanding down the roof and removing the rusty patches. 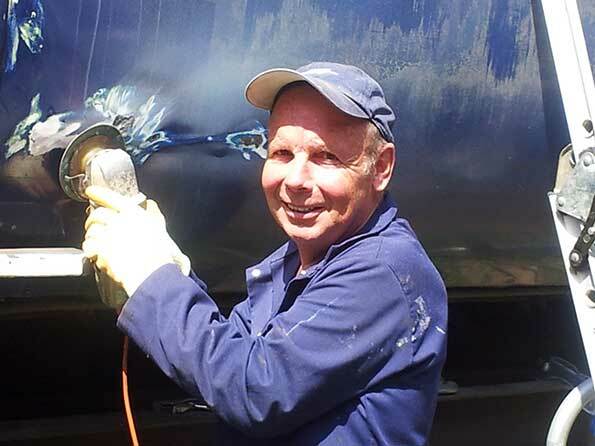 Andy continued working on the body work filling and patching and rubbing down. John W sanded down the benches on the platform and stained them. The roof is all clean and John, Stan and John W start painting on the undercoat - it will need 2 coats before the topcoat is put on. 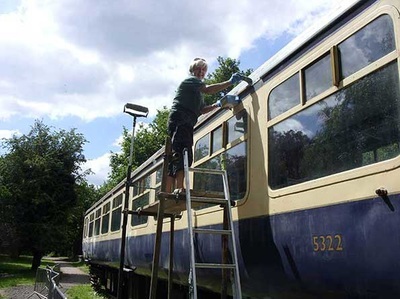 To make sure the job is done to a good standard Wendy checks it out and while she is up there was handed the brush and given the job of painting the last few bits. The last job of the day was removing the overhanging rail which Andy disposed of with his cutter. 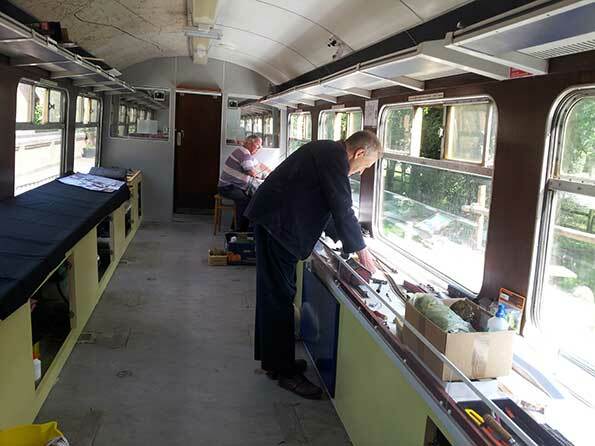 Meanwhile in the carriage the model railway is taking shape thanks to Brian and Ron, this is certainly a labour of love. 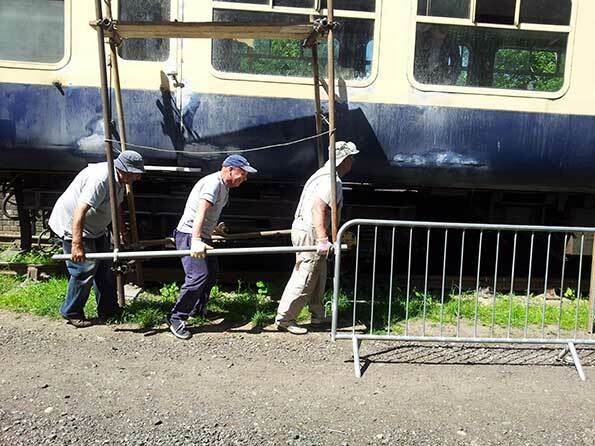 Are these the 3 stooges or John, Andy and John moving the scaffold? 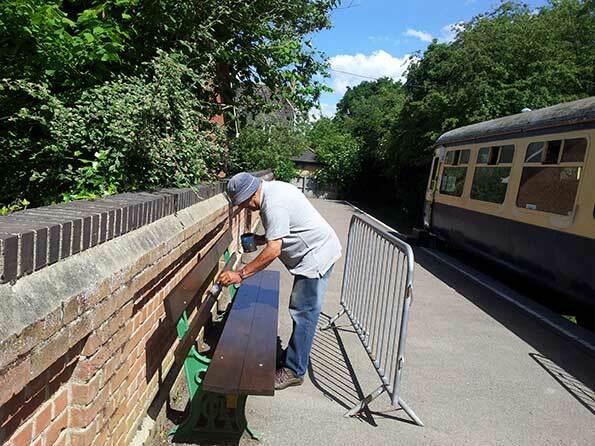 John W sanded down and stained the benches - don' t they look nice? 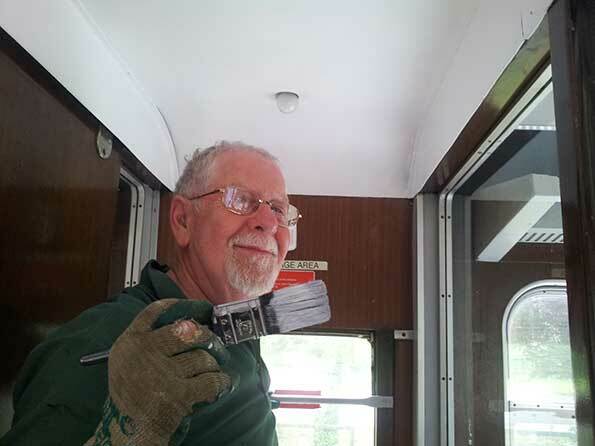 The roller works well and covers a large area - Stan is making sure the area around the middle is well coated. 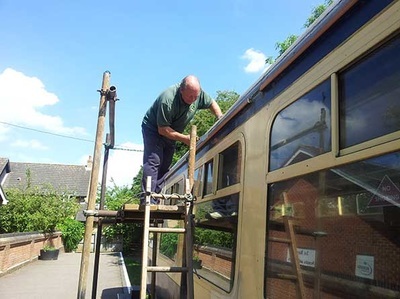 Wendy checks out the roof and while she is up there was handed the brush and given the job of painting the last few bits. 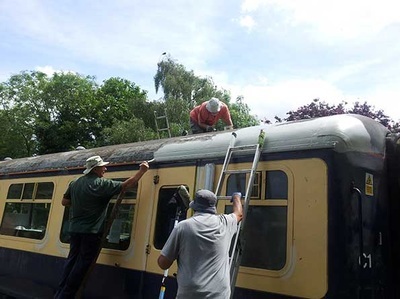 The last job of the day was removing the overhanging rail which Andy disposed of with his cutter. 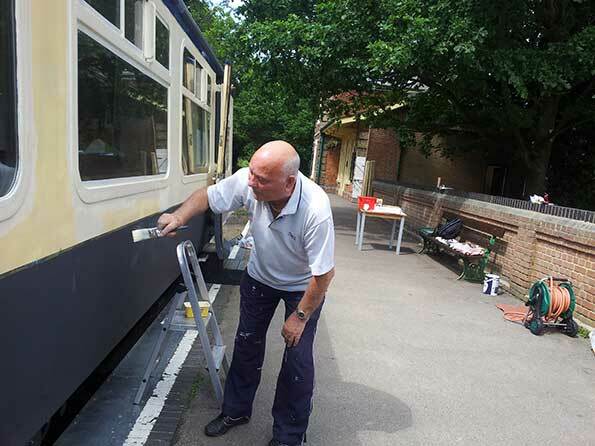 The team have been very busy painting. The undercoat of grey had been done by a number of volunteers so while the weather stayed dry Stuart made a start on the cream undercoat. 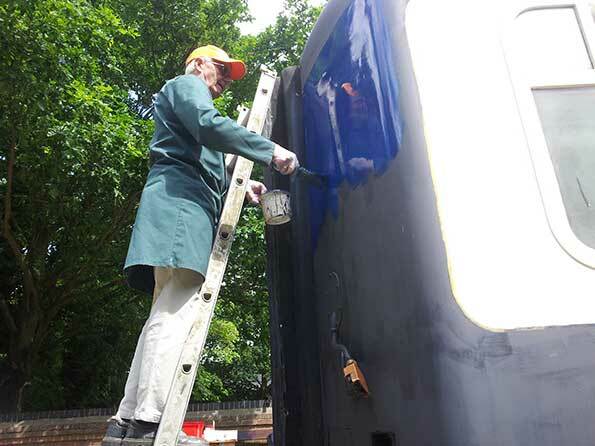 ​Jo then started applying the blue topcoat... wow the colour looks fantastic! ​Carl started to paint the top edges ​and Derek made a start at the other end of the carriage. 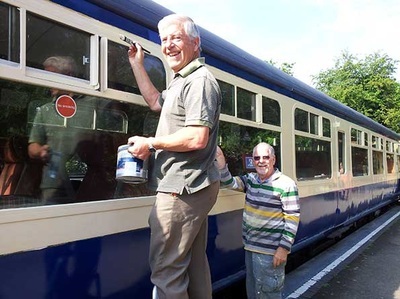 Once all the blue paint was finished and dry Carl and Stan applied the cream topcoat. It is really looking great now. ​​Wendy was given the task of painting all the fiddly bits and detail on the undercarriage. 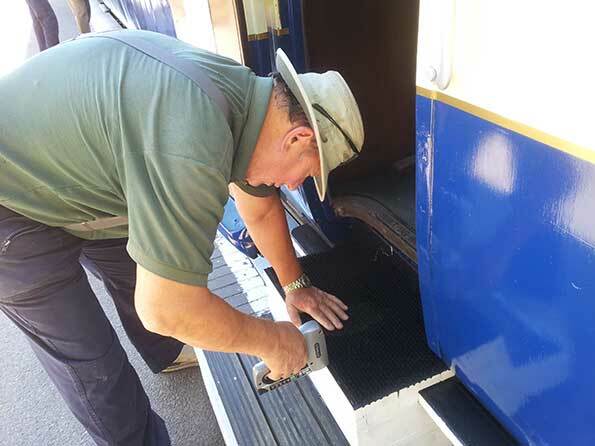 Stan painted the detail on the steps. 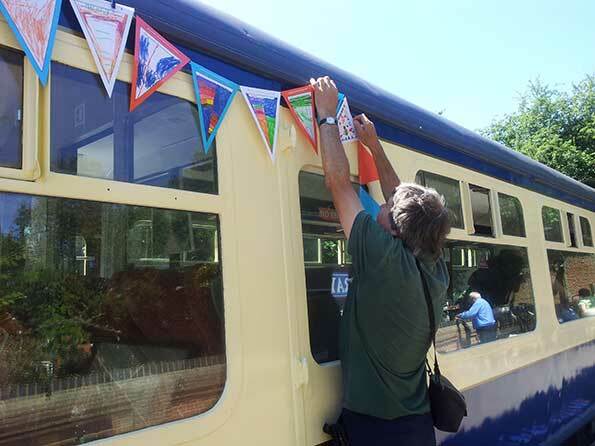 ​The final touches were to apply the gold and white lettering so Gordon made a start with the gold numbers and Wendy put on the white ones. 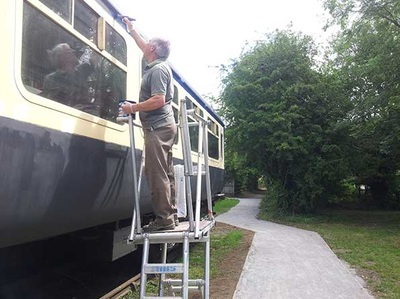 This was another very fiddly job and it was difficult to get right but after trial and error all looked good as can be seen. 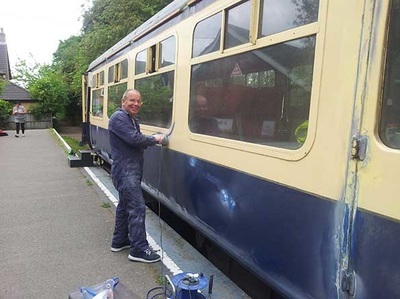 After our experiences with putting on the lettering we decided it would be best to get the professionals to put on the gold line that separates the blue and cream paint line. We think the finished result is wonderful! 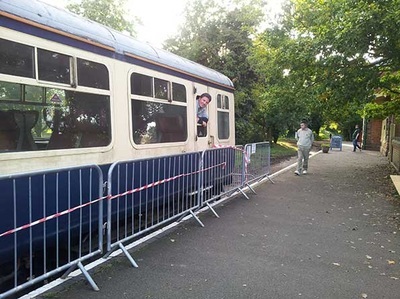 John made some safety fencing for under the carriage. It has now been painted and can hardly be seen well done John and Stan. 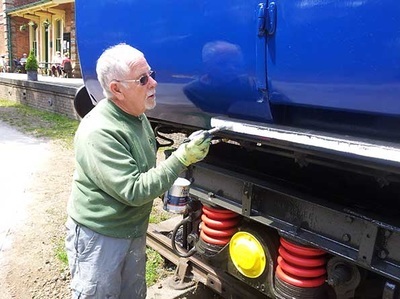 Jo then started applying the blue topcoat... wow the colour looks fantastic! 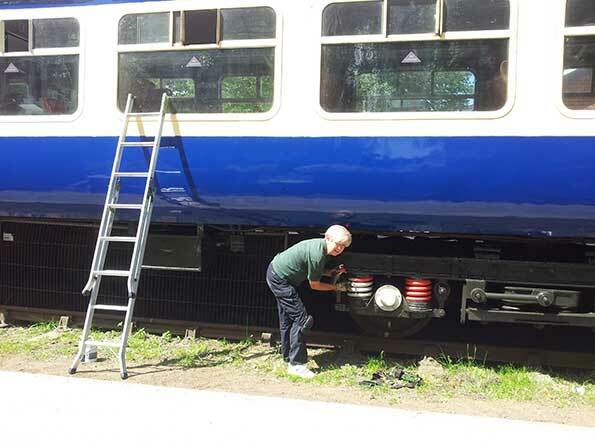 Wendy was given the task of painting all the fiddly bits and detail on the undercarriage. 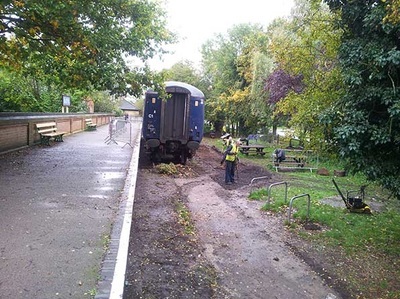 Oh dear I hope he left himself an escape route!! 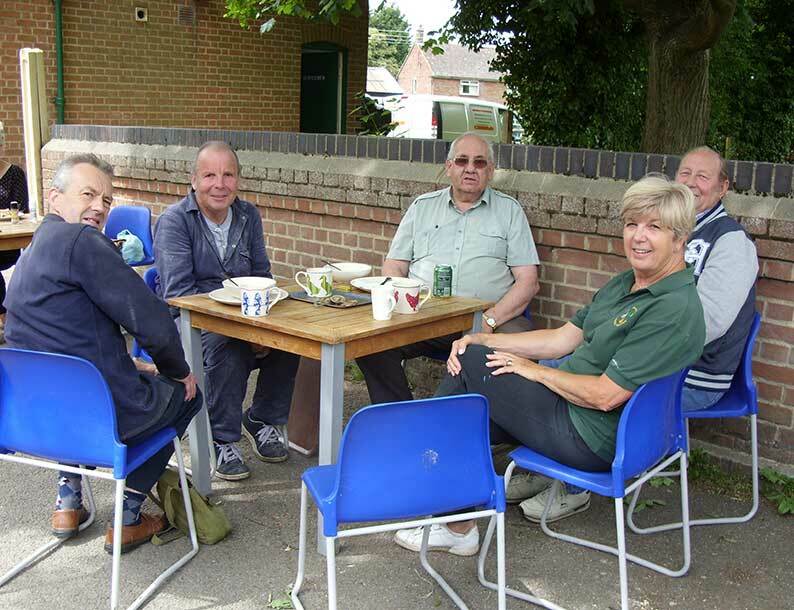 The greatest bike race in the world, the Tour de France was coming to Rayne on Monday 7 July. ​The next job was to clean the carriage and prepare the displays ready for the festival and the Tour de France days. Val, Wendy and Stan prepared the displays while others were cleaning the carriage. 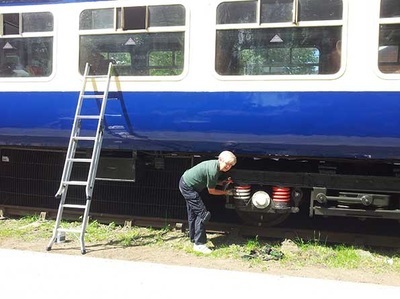 Gordon and the model railway team worked on the electrics for the railway. 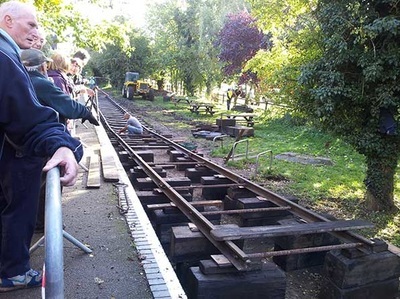 The railway will not be totally finished as there is a good deal of landscaping still to be done but visitors will have the opportunity to see the train running and see the model in the throws of being created. Windows were cleaned, the platform weeded, ​and mats put on the steps to save dirt being taken into the museum now that the carpet tiles had been laid. Every child in Rayne primary school had made a flag for the Tour de France so we used some of these for our carriage as well. 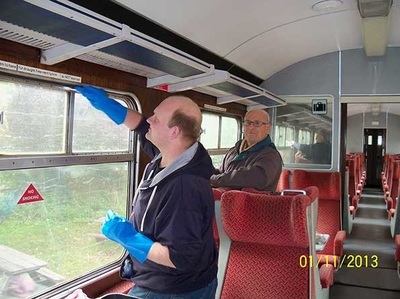 The final work on the carriage was carried out over two days and first John and Stan got togged up ready to waxoyl the underside of the carriage to prevent rust and corrosion. It wasn't an easy task but John and Stan soon got to work. ​The next day a team of volunteers distributed 3 tons of aggregate underneath the carriage to finish of the area and get it ready for the official opening. 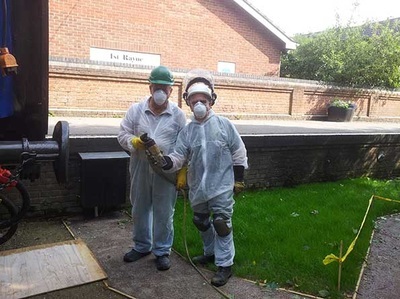 No its not the ghostbusters its John and Stan!! The day was bright and sunny and the carriage was spruced up ready for the grand opening. 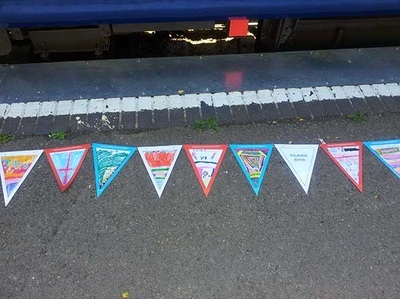 The children from Rayne Village school had prepared flags for the Tour de France and these were used to decorate the outside of the carriage for the day. The crowds started to arrive and the brass band played. 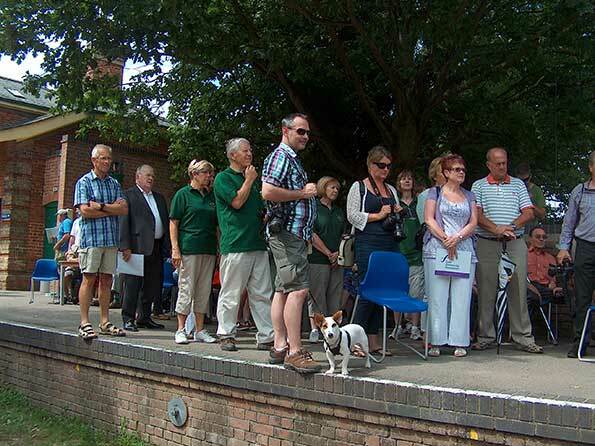 ​Everyone gathered on the platform ready for the speeches. 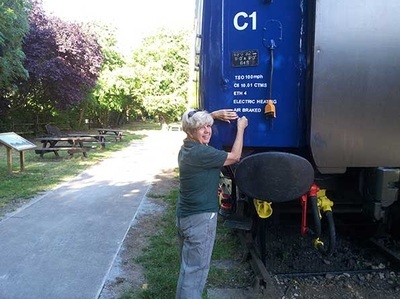 ​Stan gave thanks to everyone who had been involved in the project especially the volunteers and Sue Wilson Chairman of Braintree District Council unveiled the plaque on the front of the carriage. 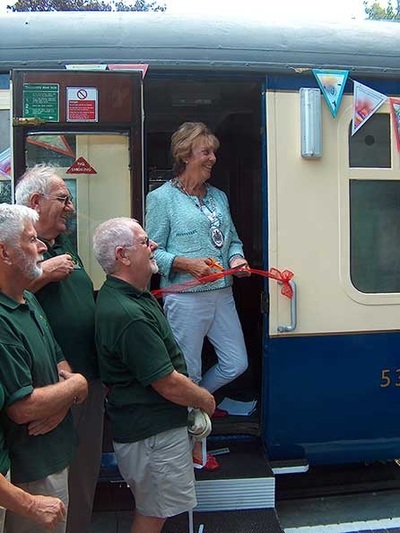 By formally cutting the tape the Carriage was officially open for business. Visitors were invited to a lovely spread supplied by Josh and Grace from the Booking Hall Cafe. 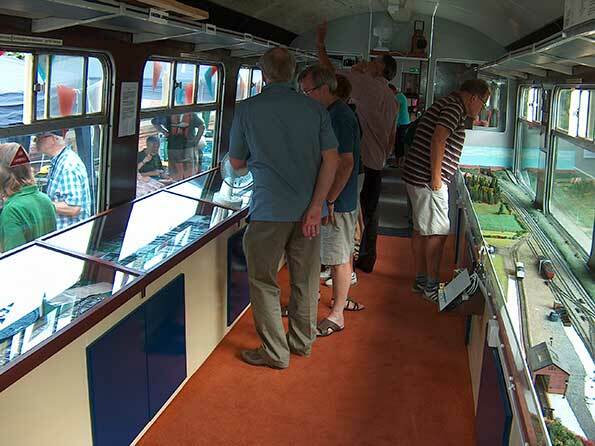 Visitors entered the carriage to look at the displays and to see the model railway working. 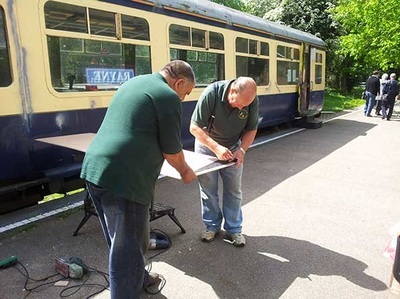 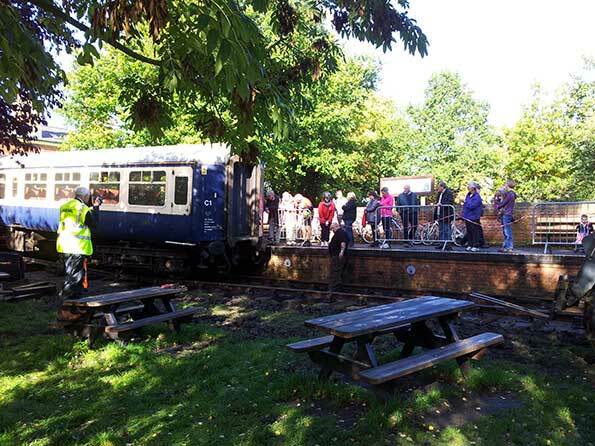 ​Although the model railway is not finished yet it is in working order and people were able to see it in action. Everyone gathered on the platform ready for the speeches. By formally cutting the tape the carriage was officially open for business. Visitors looking at the displays and working model railway. 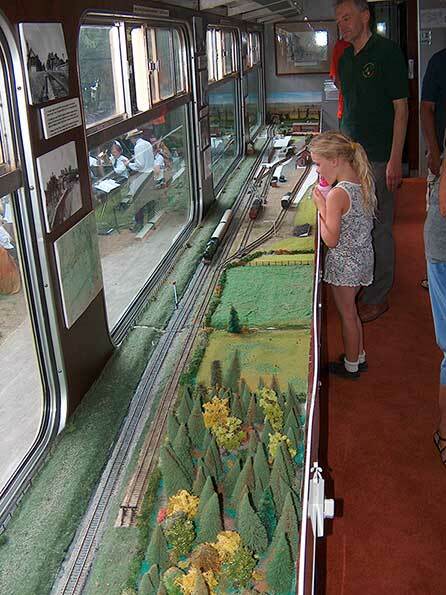 people were able to see the model railway in action.